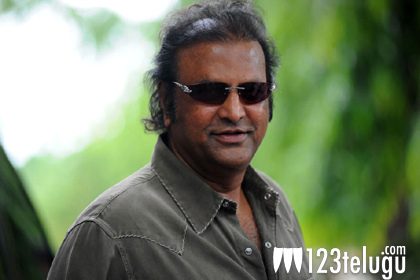 Collection King Dr. Mohan Babu is thrilled with the film ‘Doosukeltha’. The movie has Vishnu Manchu in the lead role and Veeru Potla is the director. Apparently, Mohan Babu saw the first 10 minutes of the film and was extremely happy with Vishnu’s introduction. Vishnu revealed this news on Twitter. “Every time dad wants to watch my movie it’s like giving a board exam and waiting for results. Today he wanted to see the 1st ten mins of Doosukeltha. He came into my room and shook my hand and hugged Veeru. He was laughing uncontrollably thinking of my intro with Posani. This is the first time he reacted like this. Huggggeeee relief “, he tweeted. ‘Andhala Rakshasi’ fame Lavanya is the heroine in this movie. A fresh schedule is going to start from Monday. The film is being produced on 24 Frames Factory banner. Viviana and Ariana are the presenters.